Artist Romero Britto on creativity and happiness. You don’t have to look too far to find the art of Romero Britto. The famed Brazilian artist who resides in Miami is known around the world for his vibrant colors and optimistic themes. His signature public art installations have been featured in such prominent venues as the Carrousel du Louvre in Paris and London’s Hyde Park as well as major sporting events including The Super Bowl, FIFA World Cup, and Olympic Games. Integral to both his art and his life is spreading the message of happiness. As the official artist for the first annual World Happiness Summit (#WoHaSu), Britto is continually finding new ways to share his optimistic view of life. 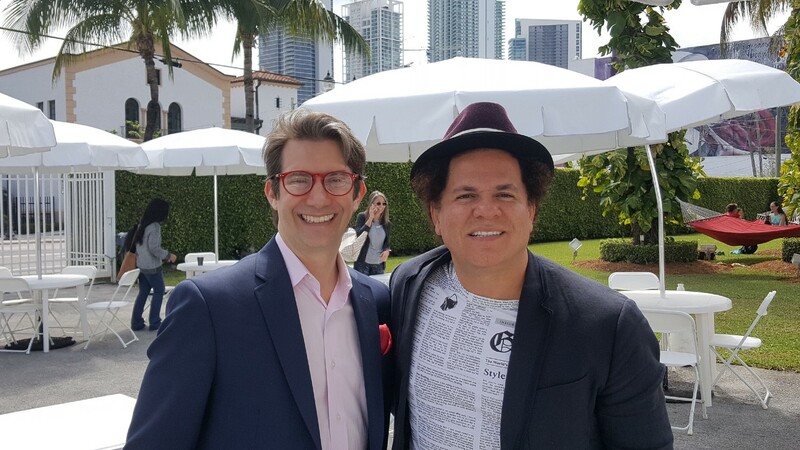 While at the summit I had the opportunity to sit down with Britto and talk about the roots of his optimism and how it has informed his art and life. During our conversation he revealed that: “I started thinking about this a few years back and as I have grown older and reflected about the past and things like that I have realized that every time I create a piece of art, even if I’m not feeling good, it just brings me to another place. It’s really very therapeutic for me.” Britto shared that part of that therapeutic feel comes from his need to bring order to the chaos around him, appreciate the little things in life, and spread positivity. Art has always been about expression and for Britto that expression started with a need to exert a sense of control over the chaos of his early life. “Growing up in a family of nine kids my house was a little bit chaotic” Britto explained. “I mean my world was not very organized in terms of my space and my home, so I think my art was a space that I could have to myself.” This need to create a sense of organization and structure is certainly evident in his art. Britto describes his work as clean and organized in a way that helps bring order to a world that often feels chaotic. Being present in the moment and paying attention to the little things are natural abilities that have been critical to inspiring Britto’s artwork. When he would go to school as a child in Brazil he would get excited about the walk to the bus because of all the opportunities to observe the environment. “I thought it was so cool because I could remember everything” and each time there was something new to discover Britto recalls. “I’m a very observant person and I’ve always been like that” he explains. Britto feels there is a beauty in capturing and celebrating the little things that has really helped to shape is art. For Britto happiness means feeling at peace and being in harmony with your surroundings. “I think all humans want to be happy. It’s this feeling that we all want” says Britto, and it’s a feeling he tries to invoke with his art. Although he strongly believes in spreading positivity he notes that: “It would be very presumptuous for me tell artists that they should paint positive things.” For Britto art is first and foremost about freedom and “people should have freedom of expression.” That said, he does believe messages of happiness, positivity, and optimism are as important now as they ever have been. In an age of negativity and incivility there is no doubt we need more emphasis on spreading positivity. Happiness really is a choice Britto explains, and it’s a choice that can go a long way in alleviating the stress of a chaotic world, particularly if we spend more time paying more attention to the small things and sharing positive stories that can inspire hope and happiness.